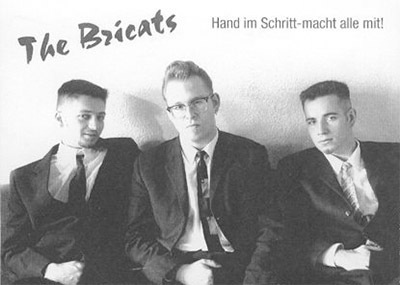 The Story of - bricatsbands Webseite!  The Bricats were formed in the early 1990´s by the brothers Günter (Guitars & Vocals) and Herbert Öller (Double Bass & Vocals) and their school mate Neven Klacic (Drums & Vocals). They played a lot of parties and school-dances back then and soon they were offered to appear regularly at an American 50´s Diner. During that time the band started developing their own brand of 50´s style Rock´n´Roll music which might be described as a hot rockin´ cocktail with a variety of ingredients like Rhythm & Blues, Jive, Rockabilly topped with a portion of vocal harmonies. On stage the trio performs 50´s songs which are given the special "Bricats-treatment" as well as a lot of self-penned numbers. Four of them were released on the EP "When I Look Into Your Eyes" on PART-Records in April ´98. In May '99 the trio brought out their first longplayer: The "BiggesTits" (PART RECORDS). 18 songs full of Jive, fun, Rockabilly, Rock'n'Roll! In November 2001 Neven decided to leave the band and was replaced by Toby Grill. With this new line-up they recorded 2002 a new CD titled "Welcome to Bricatannia".